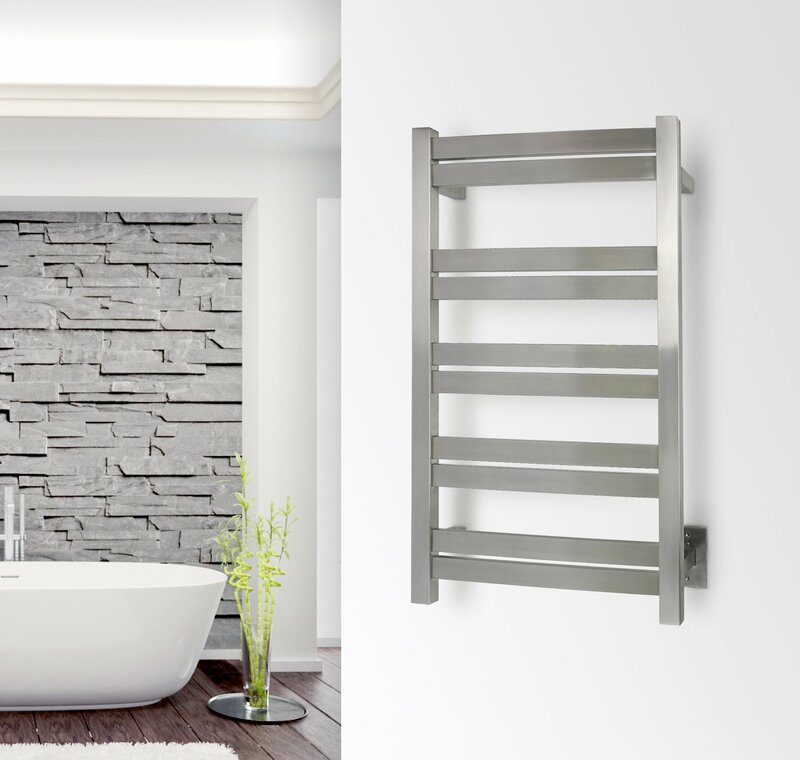 If the Grande 10 towel warmer from WarmlyYours proves anything, it’s that sometimes huge performance comes in small packages. It’s heat output of 460 BTUs per hour stands toe-to-toe with many larger models, while its compact profile means the Grande 10 can be installed in a variety of locations. The flat bars of the Grande 10 provide ample surface area to heat and dry your towels and bathrobes. The spacing of the bars also incorporates a specialized top-bar pairing for hand towels. 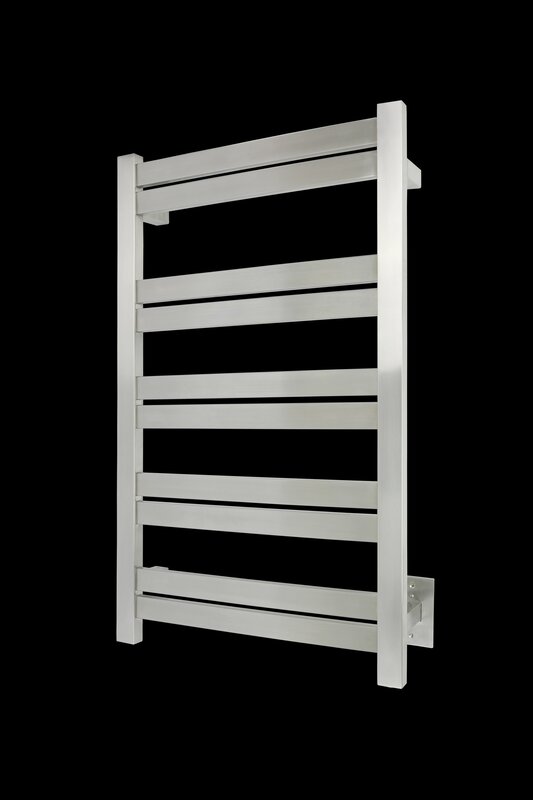 This wall-mounted model features a hardwired electrical connection (110 – 120 VAC), discrete power switch, 304-stainless steel construction, and brushed finish. This model comes with built-in TempSmart™ overheat protection to prevent the unit’s surface temperature from exceeding 149°F (65°C).